Edith Grossman, celebrated for her brilliant translation of Don Quixote, offers a dazzling new version of another Cervantes classic, on the 400th anniversary of his death The twelve novellas gathered together in Exemplary Novels reveal the extraordinary breadth of Cervantes's imagination: his nearly limitless ability to create characters, invent plots, and entertain readers across continents and centuries. Edith Grossman's eagerly awaited translation brings this timeless classic to English-language readers in an edition that will delight those already familiar with Cervantes's work as well as those about to be enchanted for the first time. 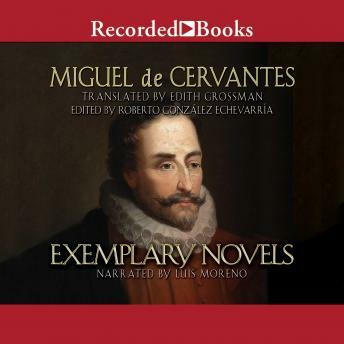 Roberto Gonzalez Echevarria's illuminating introduction to the volume serves as both an appreciation of Cervantes's brilliance and a critical guide to the novellas and their significance. Cervantes published his book in Spain in 1613. The assemblage of unique characters (eloquent witches, talking dogs, Gypsy orphans, and an array of others), the twisting plots, and the moral heart at the core of each tale proved irresistible to his enthusiastic audience. Then as now, Cervantes's readers find pure entertainment in his pages, but also a subtle artistry that invites deeper investigation.